You are here: Home / Blog / Curriculum / How Did Your Curriculum Work For You? You have probably either finished the year or are winding up the year. It’s a good time to reflect on how your curriculum worked for you in each subject (if you use curriculum). Did you find yourself dreading a particular subject? Did your children complain about the curriculum? Did they accomplish the goals that you had set for the year? 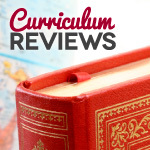 As you reflect on these questions and decide on curriculum for next year, take a look at the reviews that other homeschoolers have left for hundreds of resources in our Curriculum Reviews area. While you are there, please leave reviews of what you used this year. You’ll be helping other homeschoolers make the best choices for their families. Awesome!!! I can’t wait to see how the curriculum we use is rated.